Asian American LEAD Updates! : A Day of Service for AALEADers! Thanks to all our students, staff, and volunteers who diligently came together for an early Saturday clean-up event. 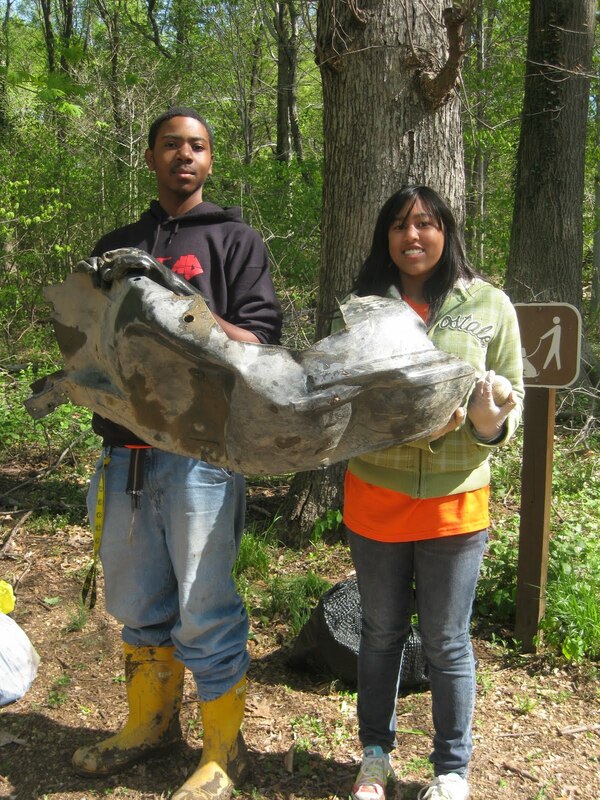 April 10, 2010, celebrated the 22nd Annual Potomac River Watershed Clean-up, hosted by the Alice Ferguson Foundation, and AALEAD was proud to have lent our hands. After meeting at Theodore Roosevelt Island in the morning, we received a safety talk by National Park Service Rangers. Then we set out across the bridge armed with gloves, rubber boots, and trash bags. 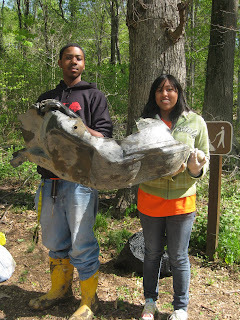 Some of the items we collected were car bumpers, tires, soda cans, and other pieces of garbage that had floated aground. We had over 50 AALEADers at the park to help, many wearing their orange AALEAD shirts. The coordinators from the Alice Ferguson Foundation and park rangers all commented on how bright we made the day, not just with our clothing, but attitudes and smiles! We hope that our service day encourages our youth to remain involved in the community, and shows the importance of conservation efforts in the region.